The last male American boxer to capture an Olympic gold medal, Andre Ward, will be honored tomorrow night, when he is inducted into the USA Boxing Alumni Association Hall of Fame. The 34-year-old Ward will be inducted into the USA Boxing Alumni Association Hall of Fame in Salt Lake City, along with Class of 2018 members Roy Jones, Jr. and Claressa Shields, as well as the late Emanuel Stewart and Tom Cleary. The second annual USA Boxing Alumni Association Hall of Fame reception, held in conjunction with the 2018 USA Boxing Elite and Youth National Championships and Junior and Prep Open, December 2-8, will be held at the Radisson Hotel (215 S. Temple St.) in Salt Lake City, Utah. 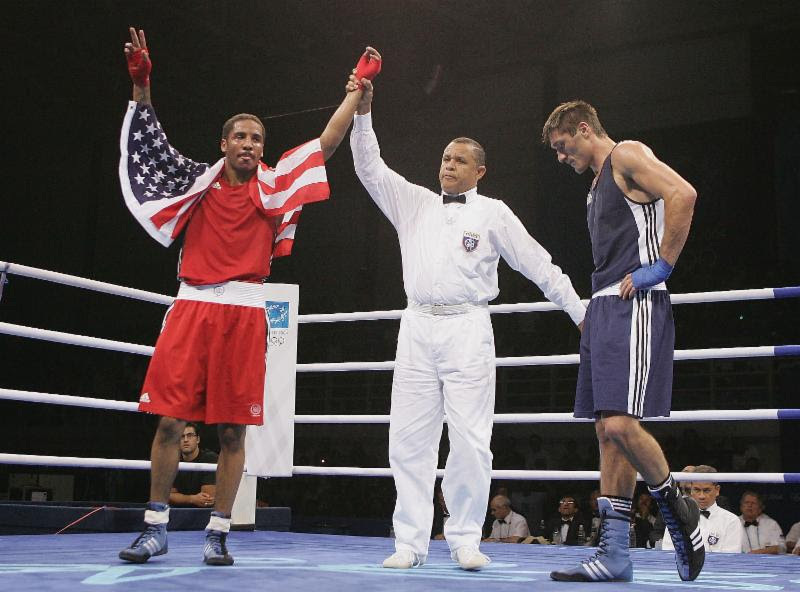 Not only is he the last American male boxer to garner Olympic gold, which he did in 2004 in Athens, Greece, Ward is the last to do so for Team USA. “It (last American male boxer to win Olympic gold) has never crossed my mind and it’s bittersweet,” Ward remarked. “On one hand, it’s kind of cool to be the last to do something for so long but, on the other hand, I’m eager for that streak to be broken. “It’s an honor and a privilege to be inducted in to the USA Boxing Alumni Association Hall Fame,” Ward said. “It’s even sweeter to be inducted with this year’s other inductees and the icing on the cake is going in to the hall of fame with Roy Jones, Jr., my all-time favorite fighter. Ward, who lives in Oakland (CA), started boxing in 1994 at the age of nine. He finished his brilliant amateur career with an amazing 115-5 record, highlighted by his gold medal performance at the 2004 Olympics. He also was a two-time U.S. National Championships (2001 & 2003) winner, in addition to a 2002 Under-19 National champion.